Support for Israel crosses oceans. 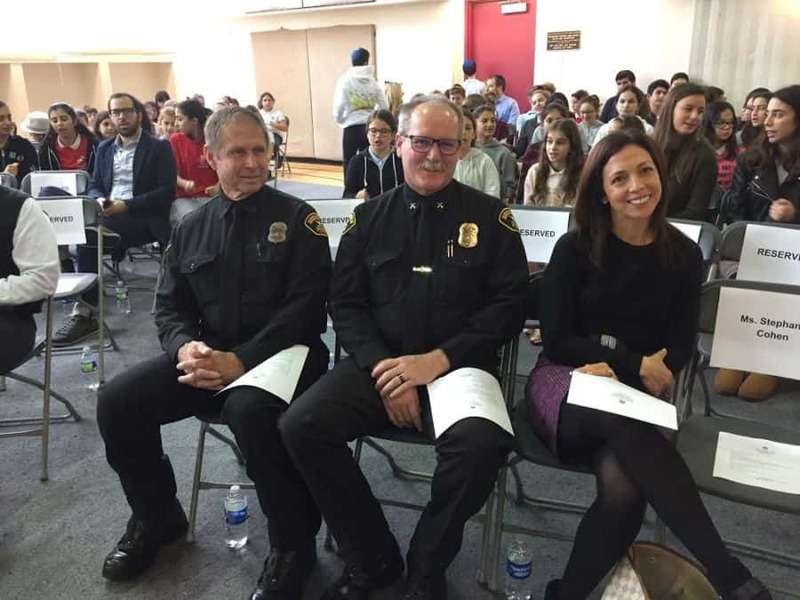 At the Harkham Hillel Hebrew Academy, in Beverly Hills, California, young students know right from wrong. 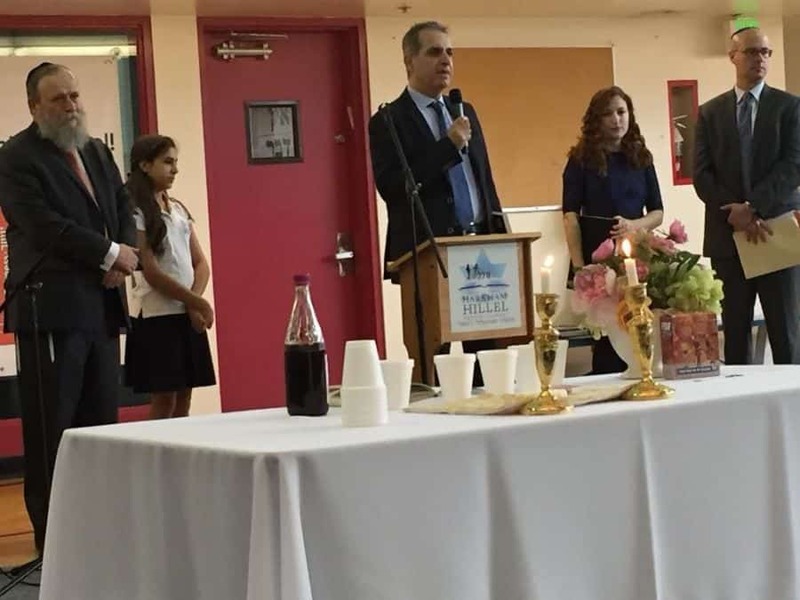 In a show of solidarity, on Friday, December 16, 2016 the entire school gathered to acknowledge Greece and Turkey for being good neighbors and coming to Israel’s aid when Israel was ablaze last November, 2016. The idea came about from Gina Raphael and the Jewish National Fund (JNF) that is Israel’s fire fighters main sponsor. With the attendance of Gregory Karahalios, Consul General of Greece, Ms. Zeynep Tuna, Consular Officer Turkish Consulate, Yaki Lopez, consul for Political Affairs Israel Consulate, John Mirisch, Beverly Hills Mayor, Mahdi Aluzri, Beverly Hills City Manager, Assemblymember Richard Bloom, Neuriel Shore, Jewish National Fund Senior Campaign Executive, Beverly Hills Chief fire fighters, Rabbi Sufrin, Head of School at Harkham Hillel Hebrew Academy and his students gave gratitude to Greece and Turkey for answering Israel’s call for help to put out the fires that engulfed the country. Israel’s fire fighters force is undermanned and lacking equipment. 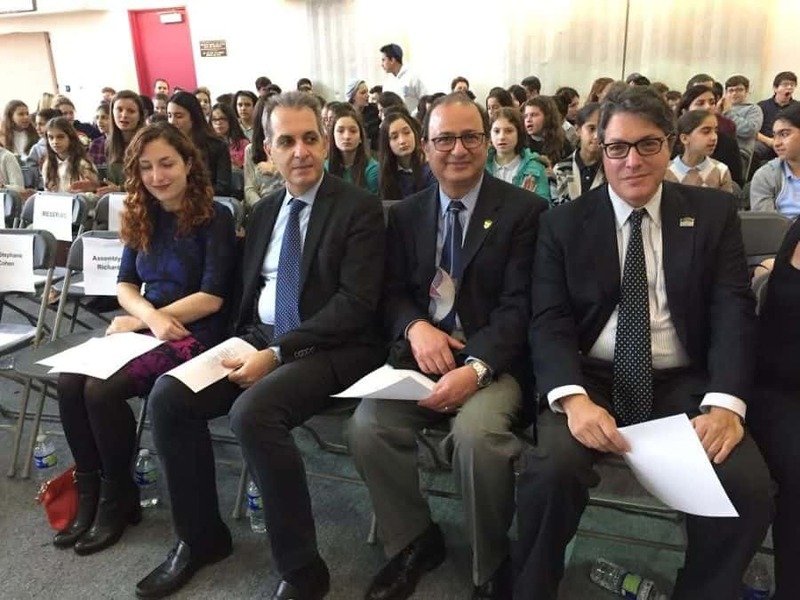 At the end of the event, the school announced the STUCO Tzedaka Initiative Kickoff to collect funds to help Israel recover from the fires’ aftermath. Greece, Turkey and other neighboring state showed that action speaks louder than words. It has shown that all the rumble that Israel is isolated, that the BDS movement is winning, is just a superficial belief of Israel’s detractors. Israel is living in a good neighborhood and she is not taking this for granted. The rotten apples neighbors will have to come to grips with the idea that Israel is busy building bridges of good future, full of hope for the region and beyond. As the Hebrew song goes: the entire world is a very narrow bridge from Beverly Hills to Israel.